Your credit card will not be charged until we call you to obtain your security code. Welcome to all of you who know the joy of living with a companion parrot, and to those of you who may be contemplating the purchase of a parrot! 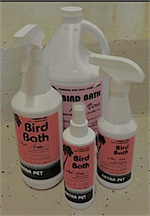 We are an Avian Resource Center where we share our philosophy and parrot keeping experience with you. 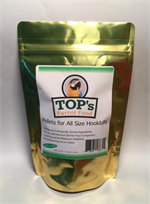 Products Featured on this site are the favorite foods, toys and accessories tested and approved by our flock of parrots. 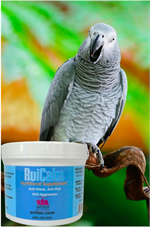 The most nutritious diet for all birds from parrotlets to Macaws. 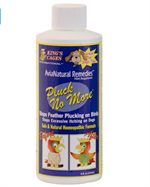 For behavior related feather pickers, chewers, screamers and hormonal behaviors. View All Images to See How to Collapse Cage. 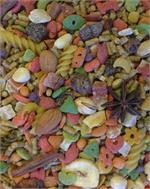 Our own special blend fed to all of our birds from conures to Macaws. 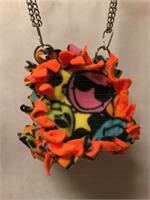 Our own blend of small parrot mix. 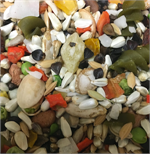 Our parrot's favorite seed mix. 22" Long x 13" Diameter Macaws and Cockatoos love hanging out in this huge globe. 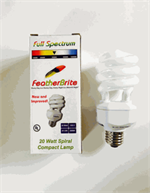 This ecommerce site is the online extension of our Brick and Mortar store Parrots Naturally. Parrots Naturally opened in Tarzana, California twenty years ago to meet the needs of parrot lovers in the San Fernando Valley area of Los Angeles. As some of our customers moved or spread the word about some of our unique products we sensed a need to develop this online presence. 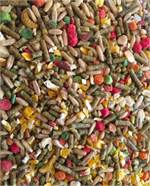 Our mission is to raise hand-fed well socialized baby parrots including Eclectus, African Greys, Macaws, Parrotlets and more for a special group of customers willing to educate themselves and provide for the needs of these rare creatures. We specialize in Kings Cages and have done so for more than 15 years. The majority of our personal and shop birds reside in Kings Cages as do the parrots of most of our loyal customers. We have carried other cages during our years owning Parrots Naturally, but none have met with the customer satisfaction and quality of Kings’. They continue to lead the market with the most amazing innovations in cage design year after year. Your parrot money could not be better spent than an investment in a Kings Stainless Steel, Aluminum or Powder Coated Cage. Our toy walls are truly a site to behold. 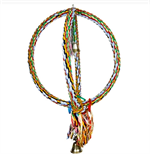 With more that 30 toy manufacturers featured you can always find the ideal product to keep your parrot entertained and happy. Please check out our educational website parrotsnaturally.com.